I can hardly imagine how my province has to look like to the ‘strangers’ in this time of the year. Irpinia – a historic region roughly located around Avellino, in Southern Italy – is usually renown for being quite a peaceful. An idillic corner where mountains, woods and valleys cherish the sound of rivers streaming among rocks, of the rain drumming on the leaves, the wheat growing under the sun… The green and serene Irpinia, which suddenly dresses all kind of funny and colourful clothes, and jumps, shouts, sings with all its breath. They all seem infected with a youngish intoxication and folly seems to be the rule. Those are the days – as the Romans used to say – when it’s legitimate to nuts. ‘Semel in anno licet insanire.’ This is our Carnival, a festivity transcending the idea of ‘tradition’. 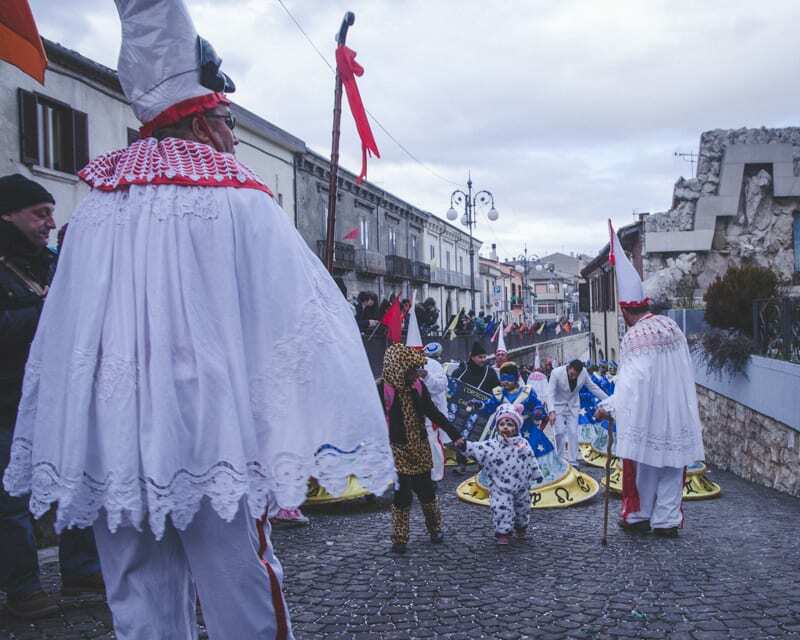 Carnival in Irpinia is a sacred and ancient ritual, of which every village – every hamlet – has its unique interpretation, his set of masks, of characters – Zeza. squacqualacchiun – each one with its peculiar features and ceremonies. A wide range of colours that all come together when it’s time for the Carnevale Princeps, the Main Carnival. To honour the lord of folly there is a large and imposing parade. 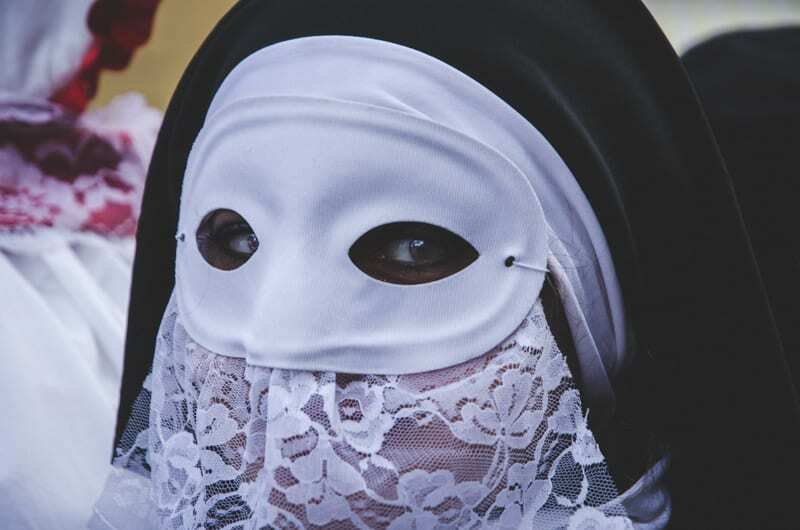 All masked and dancing groups of the many Carnivals of Irpinia march together, every year in a different village. And if on one side you may find the well known Pulcinella with his wife Zeza (short for Lucrezia), on the other there ancient masks dating back to a time even older than the Romans, as for example Gran Turco or l’Orso (‘the bear’). But if you are expecting the usual Carnival with floats and parades you have been misled. What really matters here are the masks, the music, the dance and the play. Like a wild stream they flood the villages and carry away with them all they encounter. Trying to resist is useless, almost dangerous. This isn’t a Carnival to observe hidden in the crowd, forget any doubt and uncertainty, just let it go. Behind every mask you will find people welcoming you in this collective folly. Let the spirit of Irpinia flow through you. 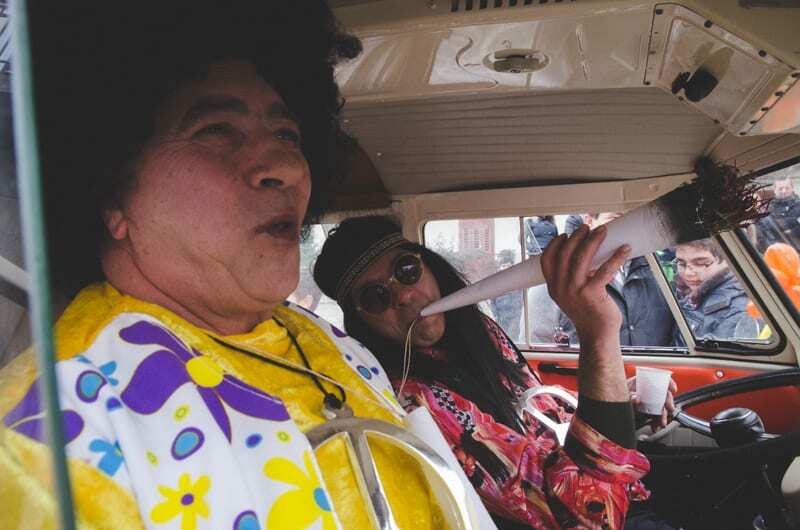 Ours isn’t a Carnival to live as spectators, is a ritual to experience first hand. Every mask has an ancient story behind it, an archaic and tribal spirit hidden inside each of us. They purify past troubles and miseries, regenerate and renew the time we lived. On the tunes of tarantellas and accordions one relives millennia old rebirth rituals that can’t go unnoticed. Even the famous Italian author Pierpaolo Pasolini, once he came to attend our Carnival, fell in love with it and used the music he heard for his 1971 movie ‘The Decameron’. 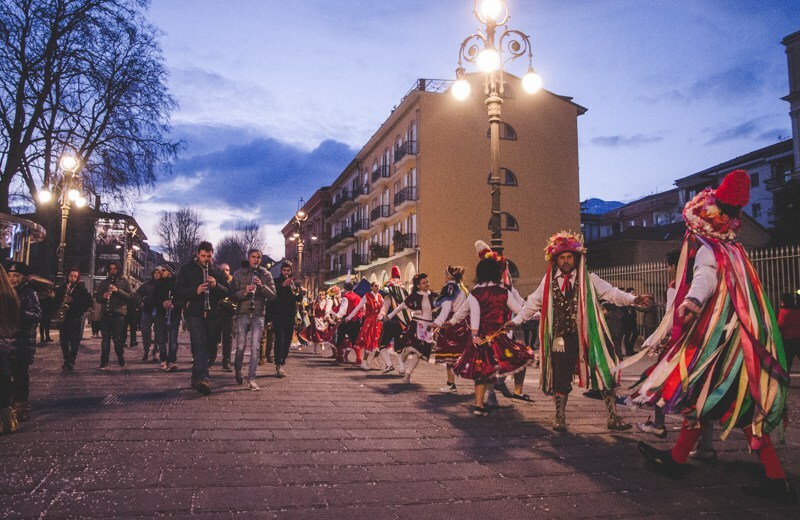 Also who already lives far away and only has faded memories of his hometown feels the urge to come back to Irpinia to attend this sacred ritual. The world sees itself through a mirror, it passes it and goes upside down, all things feel reversed. The prince becomes but a poor devil, and the poor becomes a prince. Respected scholars and simple farmers, elders and children, they all dance together in this melting pot bursting with music, ballads and colours. Even me, moving from one photo to another, find myself almost unwittingly staging a little dance over the rhythmic percussions of the fading tambourines of the parade. During these days, reality finally shows itself for what it really is: just a thin mask. Italy as seen by Italians. There are many stories to be told, each one with its places and every place has its stories. We are Diego Funari and Mario Fracasso, and we are always looking for traditions, habits, art, culture and daily life. Because Italy is not limited by its physical borders.